Dr. Gail A. Schlachter worked for nearly five decades in the library and information fields as a reference librarian, a library administrator, a library educator, an author of library – oriented reference works, a reviewer of reference resources, and publisher at Reference Service Press of both print and electronic materials. During her career, Dr. Schlachter was elected several times to the governing councils of the American Library Association (ALA) and California Library Association, served as the president of ALA’s Reference and User Services Association (RUSA), and was selected first as the reference review editor and then as the editor-in-chief of Reference and User Services Quarterly, RUSA’s official reference-oriented journal. In recognition of her outstanding contributions to the field of reference librarianship, she received the Isadore Gilbert Mudge Award, was honored with the Louis Shores Award, and received numerous honors for her publications. 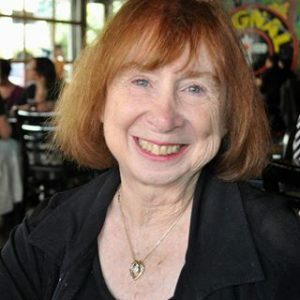 She was inducted into the California Library Hall of Fame after she died in 2015. Ann Brown, President of RUSA, “We at ALA and RUSA are honored that Gail’s family would like to continue the legacy of Dr. Schlachter with this grant to encourage librarians all over the country to address current critical issues in reference and user services. We are excited to see this grant make useful additions to existing library literature.” To learn more about what Gail Schlachter meant to people in the field, see the Fall 2015 issue of RUSQ “Remembering Gail Schlachter” and the ALA Memorial Resolution. The Gail Schlachter Memorial Research Grant will be awarded annually in the amount of $5,000 to financially support to an individual or collaborative group conducting research into reference or user services whose research projects aim to better understand or answer key questions related to connecting people to resources, information services, and collections. The application for submission for the Gail Schlachter Memorial Research Grant will be October 1st of each year. To learn more about submission guidelines, or to apply visit rusaupdate.org/awards.